The world’s first solar-powered train is here! 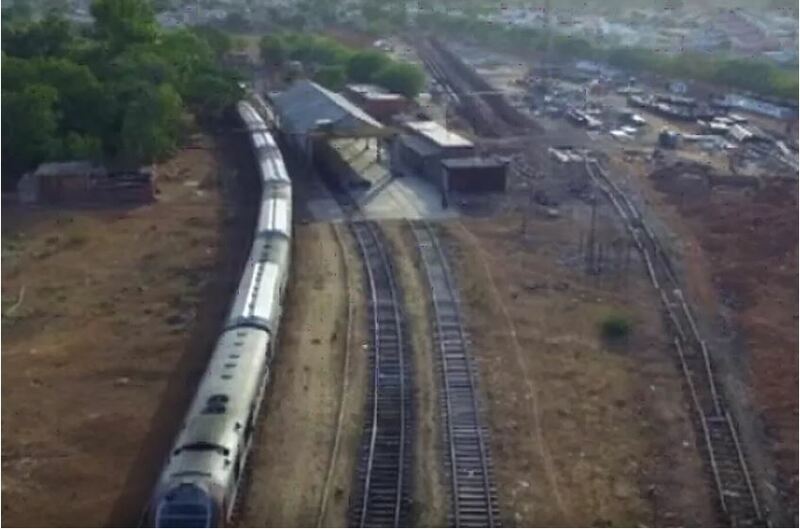 India’s first solar-powered trains has begun service, running a 12.5-mile route from Delhi’s Safdarjung station to Farukh Nagar in the country’s north. The diesel-electric hybrid train has six coach cars with solar panels embedded in their roofs. The panels feed a battery that can power the train for up to 72 hours. Roughly 50 solar-harvesting coaches are set to be launched in the next several days, running primarily along commuter routes. The new trains are a part of Indian Railways’s plan to establish an energy-generation capacity of 1 gigawatt of solar and 130 megawatts of wind power in the next five years. The state-owned company has been using train-mounted solar panels since 2015 to power interior lights and air conditioning, but their newest train is the first in the world to use solar power. Although some people may be concerned about Warranty And Battery Life of these new trains. However, they have proven to be rather reliable. India isn’t the only country exploring solar-powered trains. A research team at the Imperial College London is embarking on a similar quest to take trains off-grid and power them with solar energy. However, the UK project is looking to track-side solar panels, not ones directly mounted to the trains themselves.